The Largest Vase of our Wild Heather Collection, this majestic 10″ vase is an addition to any room. 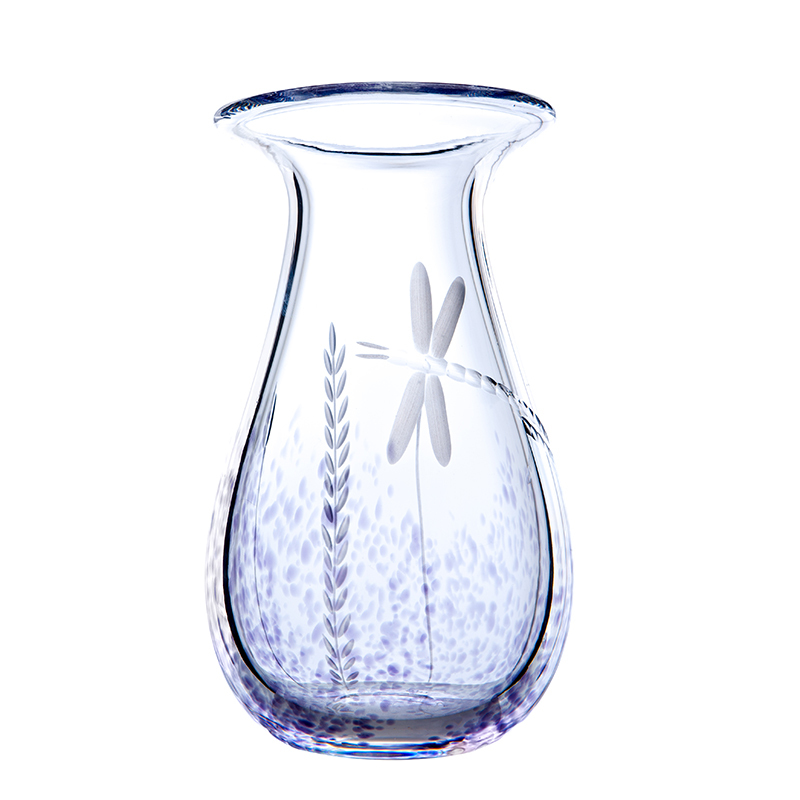 This vase is a testament of the skill of glassblowing and cutting. Etched with Dragonfly and various reeds this is a true work of art!